Oracle OpenWorld 2014: Are retailers lost in a sea of technology, data and insight? The 60,000 delegates who attended Oracle’s OpenWorld 2014 user conference in San Francisco went away with their heads spinning from the blast of product announcements, the supplier’s re-iterated commitment to the cloud and a few entertaining memories of CTO Larry Ellison and his presentation skills. But the other big highlight of the show was retail. Three retail giants were invited to speak during one of the conference keynotes – Procter & Gamble (P&G), Dunnhumby and Walgreens – while an array of smaller retailers spoke about their challenges in breakout sessions. Data analytics and the need to learn more about consumers is clearly a challenge retailers must address – but are they really dedicated to big data analytics, or lost in a sea of technology? Retailers face a crisis in the modern world. With the rise of online and mobile, consumers are less loyal to brands, and more likely to shop around for the best deal. Retailers must make sure their customer experience is the best, while trying to understand what the customer needs before the customer realises themselves. David Dorf, senior director of technology strategy for Oracle Retail, said that what retailers want to know about their customers hasn’t really changed over the last 200 years. But with data coming from a variety of different sources including in-store, loyalty cards, mobile apps or online, Dorf said retailers are finding their data in silos with no integration, making it difficult to build a comprehensive insight into consumers' habits. Yael Cosset, chief information officer (CIO) of the data science company Dunnhumby, said that its customers - which include 400 of the biggest brands and retailers – are a committed to providing customers with the most personalised experience they can. Cosset said Dunnhumby’s job is to try and understand what matters to the customer while every customer is different. He said there lies another challenge in the volume and nature of inconsistent data. “We refer to consumers as snowflakes – it's very easy to see this big plain of white snow on the ground, but in reality every single element of that layer of that is different. Engaging each consumer differently is critical,” he said. Cosset said the technology, with which retailers use data to target consumers, has become dramatically more complex and sophisticated. “That’s an area where we’re in partnership with Oracle, looking at opportunities to go beyond the traditional hardware and software model,” he said. Dunnhumby has just started working with the supplier to consider the benefits of cloud systems; but Cosset said other technologies – such as artificial intelligence and machine learning at scale – could also answer the retailers’ questions. Meanwhile, retailers such as Walgreens are innovating the ways they collect and use data. Walgreens CIO Tim Theriault described how analytics technology is helping the retailer understand what products local stores should have, such as lobsters in Boston or pictures of Elvis in Las Vegas. Walgreens is using social analytics from its mobile app to engage customers, and gains insights from loyalty programmes. US fashion retailer Tilly’s is also keen on gaining local, focused insights from customers. Derick Burger, Oracle commerce development lead for South African retailer Woolworths, said the company gains a lot of data from credit and loyalty cards. But gaining data from loyalty schemes and customer promotions are just scratching the surface, said Miya Knights, senior research analyst at IDC. “Retailers think analytics are purely for loyalty and promotions, they don’t think it should leak into every single thing they do, but that’s what omni-channel means – putting the customer at the centre of everything you do,” she told Computer Weekly. Pointing to Tesco – the world’s second biggest retailer with the most far-reaching loyalty scheme – Knights noted the company is still in crisis with consecutive profit warnings and management unrest. Online is clearly the easiest way to gather customer data. “Everything you do online is eminently measurable, but there’s a huge black hole when it comes to the store,” she said. Knights said retailers should be looking at data from the entire end-to-end retail process. For instance, combining digital CCTV technology which can count customers, with RFID tags embedded in security clothing tags which can provide real-time visibility of where inventory is, at every point of supply chain and store. “If a person engages on an app or loyalty card, you can then follow the loop through,” she said. And it’s not just the retail sector that is obsessed with customer experience. 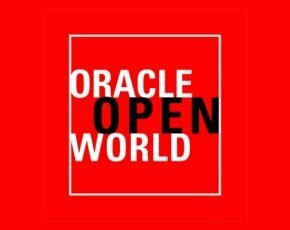 Businesses in all sectors are trying to provide a slick experience to clients and employees alike – during OpenWorld 2014, the term "customer experience" resonated around the conference as ubiquitously as the word "cloud". “All these businesses, every business, B2B or B2C, are going to have to overcome these problems, and it is retail which is having to face them now and first,” concluded Knights.